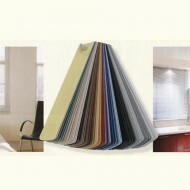 We offer high quality Venetian Blinds made-to..
Roller Blind in wipe clean vinyl 20" Wide. Roller Blind in wipe clean vinyl 20" Wide.&nb..
Roller Blind in wipe clean vinyl 24" Wide. Roller Blind in wipe clean vinyl 24" Wide.&nb..
Roller Blind in wipe clean vinyl 28" Wide. Roller Blind in wipe clean vinyl 28" Wide.&nb..
Roller Blind in wipe clean vinyl 30" Wide. Roller Blind in wipe clean vinyl 30" Wide.&nb..
Roller Blind in wipe clean vinyl 33" Wide. Roller Blind in wipe clean vinyl 33" Wide.&nb..
Roller Blind in wipe clean vinyl 39" Wide. Roller Blind in wipe clean vinyl 39" Wide.&nb..
Roller Blind in wipe clean vinyl Made to Measure. Roller Blind in wipe clean vinyl Made to Meas..